Deep breaths, everyone. Deep breaths. OK, not quite a scorched-earth reveal that forever shatters one’s faith in everything. More of a nuanced finessing that admits very little, really, beyond the fact that the show sometimes re-shoots scenes. But read between the lines, and remember Bobi Jensen’s words, and face the ugly truth: House Hunters is lies. For immediate reaction I went to a trusted source deep inside the House Hunters fan demographic: my mom. 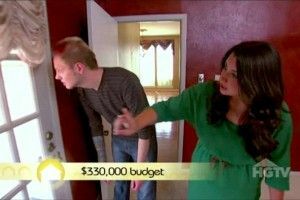 (For the record, she doesn’t even mess with regular House Hunters anymore. It’s all House Hunters International everything.) She says: “I thought so; you can see the people wearing the same clothes in the ‘four months later’ show and the babies look exactly the same, but it’s still fun. Ha-ha.” There you have it. Case closed. Now pick up the pieces of your broken lives and move on.